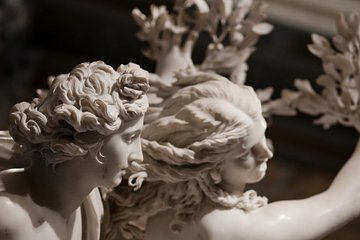 Visite uno de los hermosos museos de arte de Roma, la Galería Borghese, con este boleto de entrada sin colas. Evite las largas filas y aproveche al máximo su tiempo en la galería sin esperar en ninguna línea. La Galería Borghese presenta obras maestras de Caravaggio, Rafael, Bernini y mucho más. Pasee por los jardines del museo y disfrute de las vistas de la Piazza del Popolo. Alem disso nao consegui os bilhete com os funcionarios do museus! Argumentaram que o pacote era particular e eles nao trabalhavam em parceria com a viator! Aguardando retorno da empresa para reembolso! Had a great time, although we were a little disappointed when our tour app stopped working and we couldn't find anyone to help get it loaded again. We believe she had a hot spot that didn't reach very far. Federica, our art historian tour guide, was fanastic! She was enthusiastic and gave so much information about the artists and their lives, which were influenced by the aristocratic families and popes of their time. The attention Frederica gave to our group made this the highlight of my first trip to Rome.